Has Facebook made you a better person ? 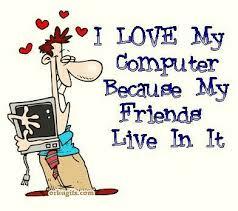 I love Facebook and I am on Facebook because I love to share. I was recently complimented by a friend, who thought many of my posts were useful and informative, along with updates of events and people in my life. So finally, here was one person who was not like ‘you-are-always-on-Facebook’ types. I have heard that so often. Thank you friend ! Those typified types, tell me this : So how do you know I am on Facebook all the time, if you aren’t too ? And the difference being, that I count (read matter) on Facebook and you don’t ! Because all you do is snoop into peoples’ lives willingly and then whine about it. And you either have nothing worth sharing, or are a private person or not sociable enough. Ha ! I finally said it and it makes me feel good !! This positive comment by my friend egged me on taking up my pen, oops, the keyboard! Not that I had not given it a thought earlier, but this was the prompt probably I was waiting for. Facebook has certainly improved the quality of life for many of us. 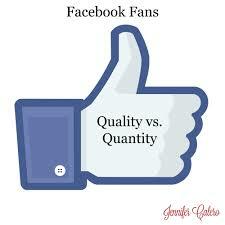 Those that use Facebook judiciously – those that don’t let it consume their waking and sleeping hours that is. And please , please lets leave out exceptions in this forum – those that have misunderstood this platform. Hope they learn the ropes some day. Facebook has made some us of better writers than we used to be. There is a writer, be it of prose, or poetry latent in most of us. 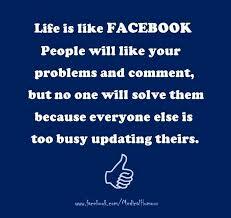 Isn’t that very evident everyday as you see scores of updates, film-reviews , sports-discussions and debates flying across Facebook? Who else would have given us this platform to be as articulate as we are now? I am sure language skills have heightened along the way too! Some are still not there, but they will be, given time I guess. About 1 billion people used Facebook on a single day going by the stats provided by Facebook as on August 24, 2015. More than 1.49 billion active users access Facebook worldwide on a monthly basis and they are counting. So, a change coming into so many lives. Every 60 seconds , 510 comments are posted, 293,000 statuses are updated, and 136,000 photos are uploaded. Facebook has made us better photographers. There are apparently 300 million photo uploads everyday. Isnt that mind-boggling? Where was this love of photography universally prior to the spring of 2004, when Mark Zuckerberg along with his college room-mates launched Facebook ? I am sure the first few hundred postings were merely photographs and nothing else. We have become more creative , more aware of camera angles, of creative lighting and of editing. Wondering what to do about the driver’s licence part! I can hear someone from the side-wings hiss “but you have all become narcissists”. I was expecting this ! But come with me, lets open this door and see whats inside. 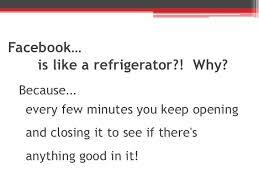 Facebook has opened the doors of awareness. Made us more aware of ourselves and our surroundings. 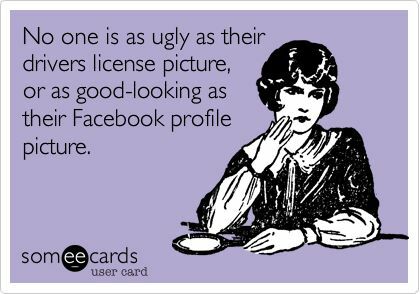 Aren’t we all better groomed today, thanks to Facebook in part? Now admit it, as you step out of your rooms, all dressed , be it for work or an outing, whats the first thing that comes to mind? Your phone camera ! So, isn’t a lot more effort going into making yourself more presentable ? That’s not being narcissistic, that’s being more careful about one-self. We are becoming our own stylists and who is motivating us ? Like-minded fellow beings posting their pictures in various attires. A thumbs up to that. There is another hiss this time even meaner ‘but you are all a group of attention-seekers’ !!!!!!! Oh come on, give me a break! Lets go back a bit in time. Youngsters stay where you are, you may not understand this journey. Those whose childhoods were spent in the 20th century – do you remember those moments of excitement, when you donned new clothes for festivals and the like and you ran around to members of your family showing off your attire ? Why even to neighbours sometimes !! What would you do if you had a social media platform then? Gotcha ! As homo-sapiens we crave for appreciation, it’s a trait typical to our species. We share our thoughts and photographs on Facebook because we want to. Your prerogative to like them or not. But do look at the stats again here. On an average, the Like and Share buttons are used and viewed across almost 10 million websites daily, as of 10/2/2014. It must have grown by leaps – we are coming to the close of 2015. Facebook has turned some of us into social activists of sorts. There is a streak of goodness in most of us humans. 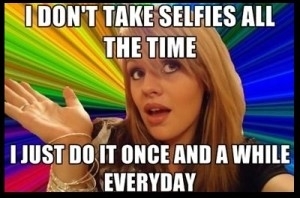 Mind you, we are not taking pictures of ourselves all the time. We bring out our phone cameras when we want to right a wrong too – on the streets, at work, at home, at cinema halls et al. And we post them on Facebook – to create awareness and bring about a change in our attitudes and behaviour, to become more responsible. It has worked many a time, bringing about a paradigm shift in the way we conduct ourselves and in the way our politicians and bureaucrats have risen up to occasions. Now this is a happening of this afternoon. Driving back home after lunch, we saw a few metal road dividers that had toppled on a busy stretch of road in Adyar in Chennai. My son who is an actor, pulled over, crossed the street and struggled to put them back in place. I could see that they were not only heavy but chained to one another and he was struggling to get them up. Another Samaritan came lent a hand and the road dividers were back in place. Proud mom that I was, attempted to videograph it, but in my excitement forgot to click the start button on my phone-camera. I would have loved to post it on Facebook, but missed a golden opportunity of conveying a sense of responsibility in civic life. Another occasion where I was able to get a needy student funds for her education through Facebook. A note of thank you to my lovely friends – Ramesh Kalghatgi, Sateesh Jadhav and Richa Kapoor. 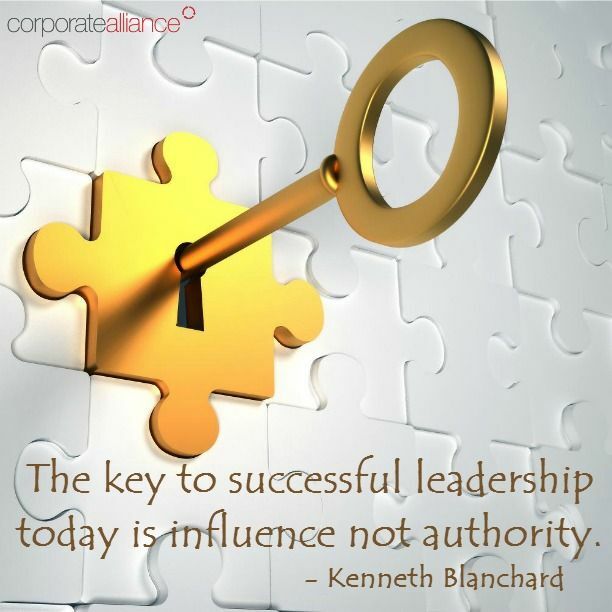 There is a bit of a leader in all of us. Todays generations are richer in terms of life-experiences than the previous ones and the lessons gained from it are manifold. I am not sure if we have become better people, but we certainly have gained an angle of ‘smartness’ if you know what I mean. So our heads are teeming with ideas and concepts for change in ourselves, fellow-beings and the SYSTEM. We want to share them, collect opinions and start a campaign perhaps. So we hit Facebook. Be honest, don’t tell me you haven’t re-looked at your personality* and made a few changes in the way you think and live, after reading some sensible posts! Above all else, Facebook has reconnected us to family and friends of far and near. How else would we be updated of family trees; of additions to and exits from families? Of achievements and events of those that we care about ? Facebook has made us better shoppers. It has changed our life-styles for the better. Through exchange of ideas on lifestyle pages and Google analytics. Facebook and Google are actually working on our behalf to up our style-quotient, for home and fashion ! I like it. I like shopping suggestions being splashed across my page. To open the purse-strings or not is my choice, though most often I give in to the temptation !! 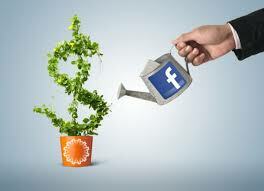 Facebook has boosted businesses. Right ? 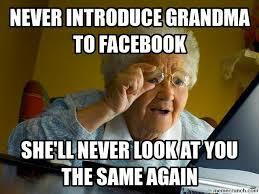 I can see several nods from all those that have utilised Facebook for promoting and building their businesses. Ad-spend on Facebook is fast catching up. Revenue from advertising on Facebook totalled a cool $3.54 billion in the first quarter of 2015 !! Facebook is too big to ignore. And 42% of marketers the world over have reported that Facebook is critical to their business. Talking of business, there is something I wouldn’t do – I wouldn’t post negative reviews or comments about a business, a movie or a sportsperson. This of-course is my personal preference. A mountain of an effort would have gone into starting or building a business, hundreds would have slogged for the making of a movie – I am not going to gainsay them, even if I feel let down. While I do understand the corrective powers of social media over man and his handiwork, I have till date not been able to take up cudgels on social media. I could be wrong, but I am in doubt and so I stay away. Facebook in a way is the step sister of e-commerce. Selling on Facebook incorporating some of the disciplines of etailing has turned heads of small and medium-sized enterprises (SME) into better strategists, better negotiators, has fostered better employer-employee relations and brought together better logistics partners. 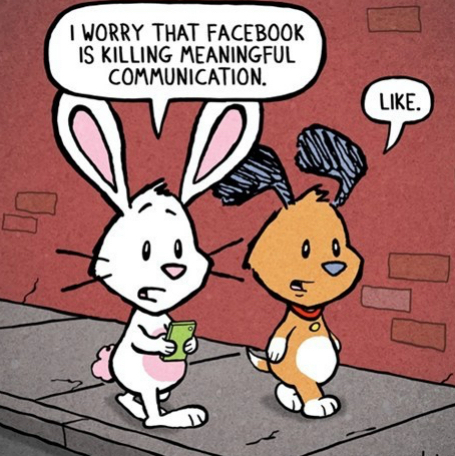 Facebook has made many of us tech-savvy. Don’t we all have at least one person in our immediate or extended families, that has embraced technology by the sheer lure of Facebook ? Good enough. On a lighter note, why even our domestic help have started updating statuses on Facebook. The downside of this being, it takes some education to make sensible use of the platform. Following close on its heels are various apps being downloaded to make better use of Facebook for personal gains or business. And that means more business opportunities for tech people like app developers and advertisers. Gosh! I am finding it really hard to compartmentalize , one benefit permeating into the other. That’s how much Facebook has occupied our space. Facebook has created job-opportunities. 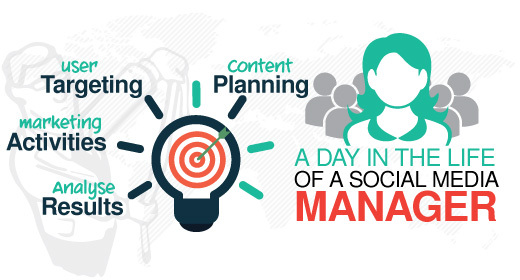 Out of the several, I can think of Social Media Managers as the biggest beneficiaries. Those that manage celebrity pages, business pages, content writers, graphic designers, illustrators, online advertising and marketing strategists and so many more. Let me tell you, this is an exciting field that I am personally kicked about. 16 million local business pages were created by May 2013. I don’t have the current stats though. Facebook has made us better home-makers. Given a choice I would like to devour every bit of information on the net, and specifically Facebook. But that would mean ‘only reading, no time for implementation’ !! Home décor ideas, cooking tips, fitness trends, nutrition plans, options in appliances, party and wedding planning, travel destinations……how much can we digest ? But all for the good. I stand better equipped today because I am better informed. Agree ? Is Facebook secure ? Oh please, this is quite clichéd ! It is as secure as you can make it to be. Any gap that you leave in matters of security online or offline, be sure of it being invaded upon. I have not been on the receiving end of anything unpleasant on Facebook. Or am I saying it too soon ??? The only exception being a fake profile was once created with my name and display picture which was soon thwarted by Facebook on my reporting it. I could have left out some other plusses of Facebook, please add them in your comments if I have. This is an attempt to bringing out the positives of Facebook, because that’s the way I see it and use it. Nothing is perfect and some could see a few accompanying minuses of the platform, but then again, you can’t have the cake and eat it too! Use Facebook as you please, use it wisely. I would love to hear your comments ! ← Cee’s Fun Foto Challenge – Hats and my hat-phobia !